The first thing I saw was a little girl playing on the floor, a box of toys beside her. 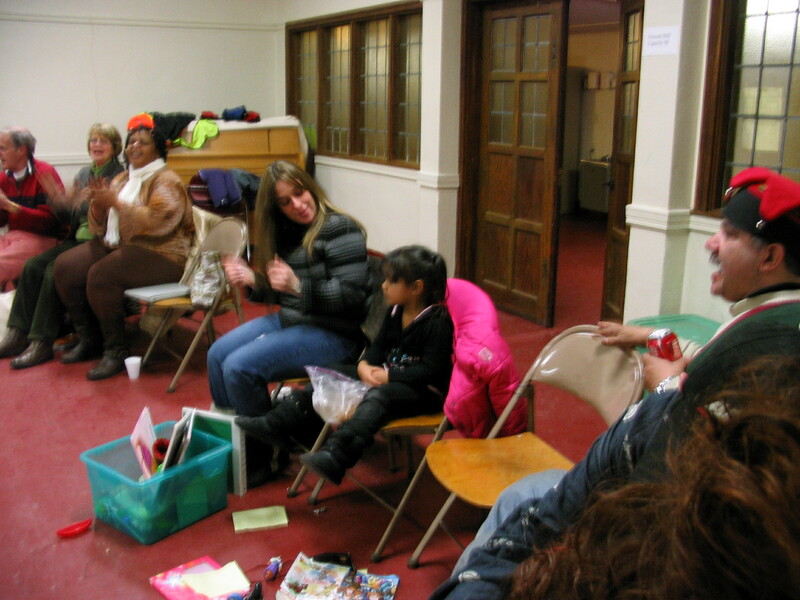 People came from a chilly winter evening into the church basement meeting hall. 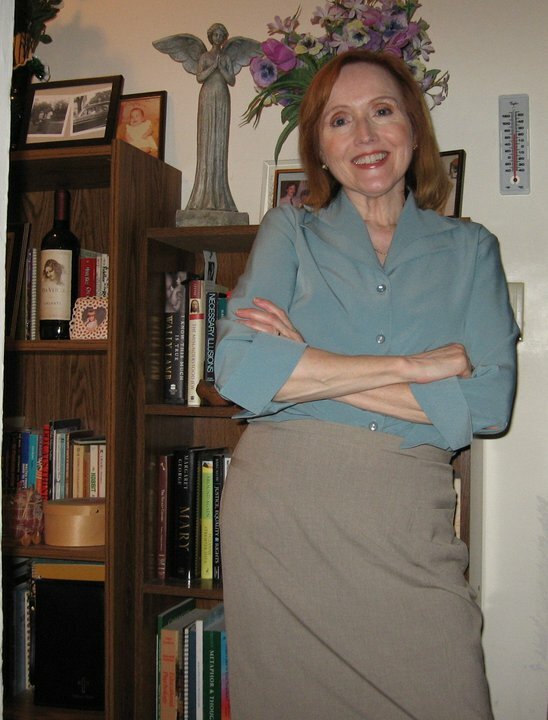 Many carried plates of desserts, placed on a table where a coffee pot was soon plugged in and perking. Along with winter coats, hats and gloves, all those who entered wore smiles. Some hugged or shook hands. Greetings were enthusiastically exchanged and everybody looked – well – happy. 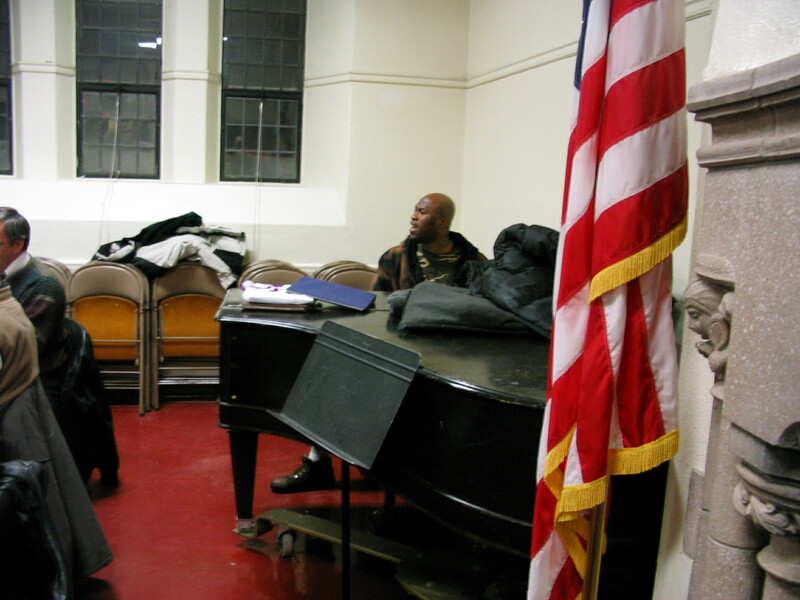 One young man sat down at a piano and started playing and singing a gospel song. 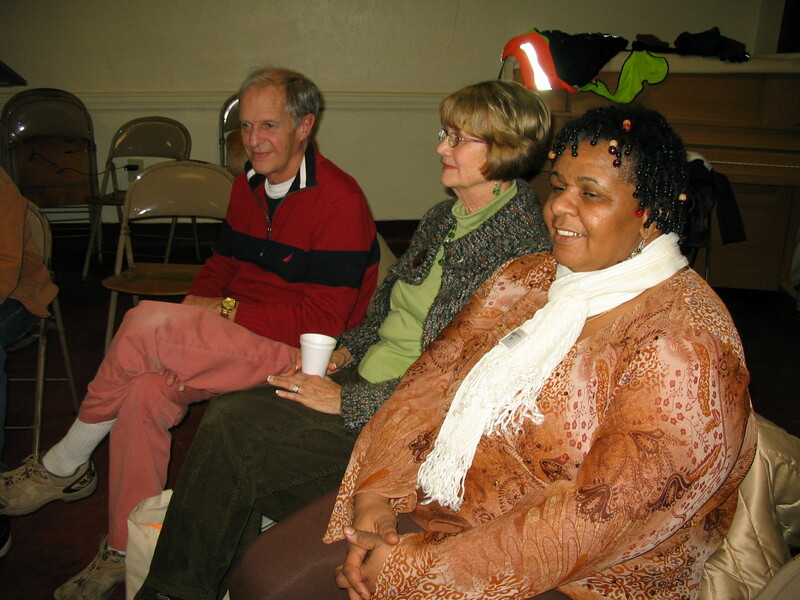 This was not what I expected when I went with a videographer to Vincent Hall at Trinity United Methodist Church in Springfield for the weekly Thursday night meeting of former jail inmates and volunteers who have participated in the Residents Encounter Christ weekend program conducted by the Hampden County Sheriff’s Office. 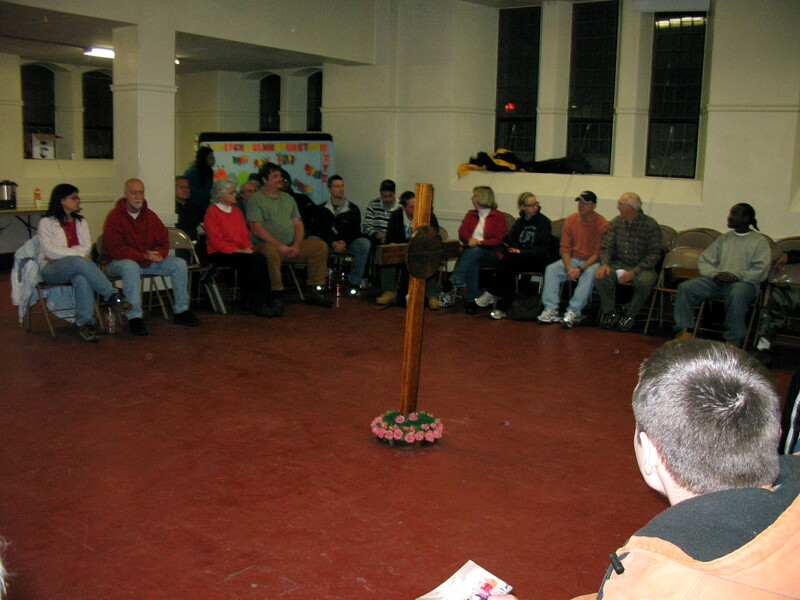 Known as REC, the ecumenical program brings together inmates of the Hampden County House of Correction in Ludlow, the female inmates at the Chicopee jail and residents of the alcohol rehabilitation facility on Howard Street in Springfield with volunteers willing to share their faith experiences. 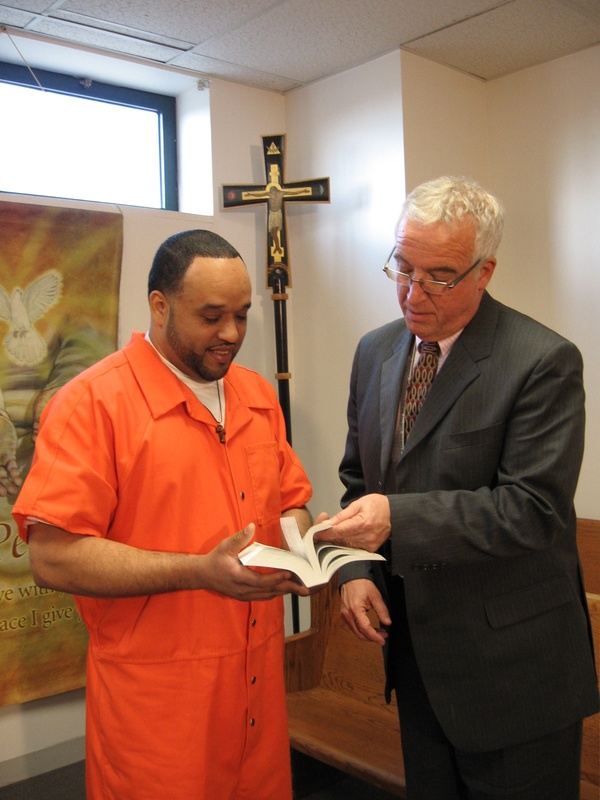 Held three times a year at each of the three locations, the program encourages inmates and those struggling with substance addictions to invite Christ to come with them on their journeys as they take responsibility for their actions and work toward repairing and rebuilding their lives. My visit to the Thursday night gathering at Trinity was part of a television story I am working on for our weekly newsmagazine program, “Real to Reel.” I had already been to the Ludlow jail facility where I interviewed an inmate who had recently participated in the REC program, along with Deacon Bill Toller, a longtime supervisor in the correctional facility’s education department. 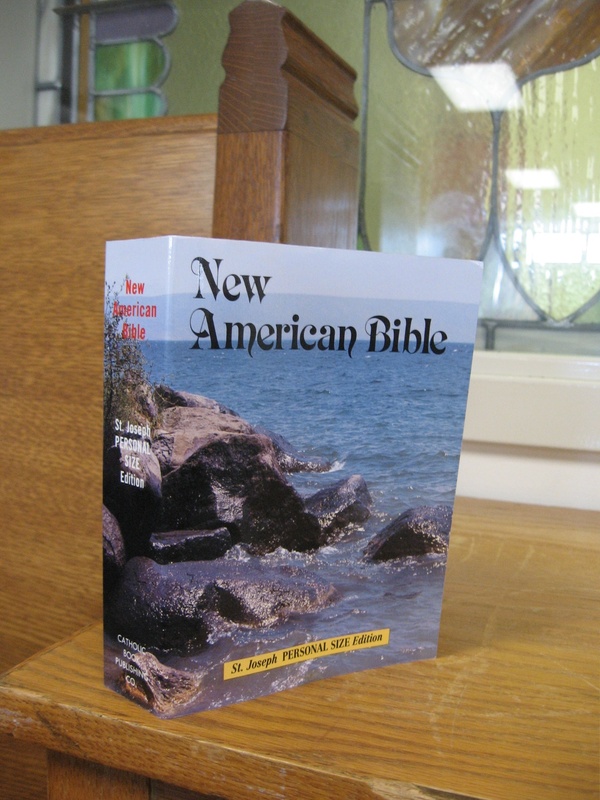 I had already seen, through the testimony of those two men, the powerful effects of God’s mercy on both inmates and volunteers in the REC program. Last Thursday night, I saw the ongoing personal and spiritual bonds created at REC weekends that can become a lifeline as former inmates, and those battling addiction issues, face both ordinary and extraordinary challenges of daily life. And while my preconceived notion of these meetings was of a somber scene and quiet conversation, what I discovered was a joyous celebration of camaraderie, caring, acceptance and hope. There was a Bible reading, a group prayer, a spirited, hand-clapping rendition of “When the Saints Come Marching In” and a sharing of personal testimonies. And as I listened, another surprise: I really couldn’t tell which speakers were volunteers and which were former inmates. All spoke of struggles and simple joys they had experienced during their week apart: time with family members, moments of feeling hopeless, feeling in control, out of control, doubting God, trusting God, gaining ground, falling back, changing course – and looking forward to Thursday night. 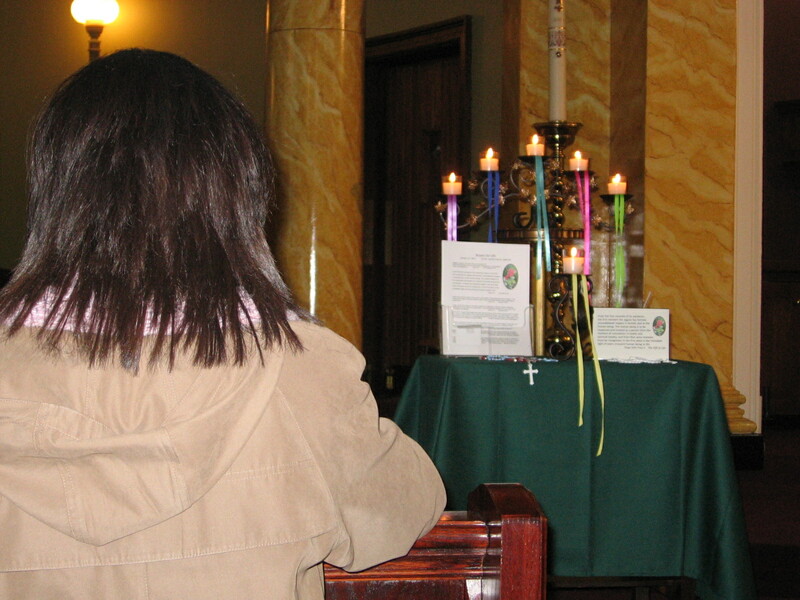 From these testimonies, from the desire to change, from the belief that, in our weakest moments, we are still children of a loving God, I have taken away some questions to ponder during the season of Lent: What is God trying to give to me? Am I truly open and ready to receive those gifts in my life? And, with the help of Jesus, am I willing to share these gifts with others? For, as St. Francis reminds us in his prayer of peace, it is in giving that we receive, and in dying to self, that we will live eternally in God. 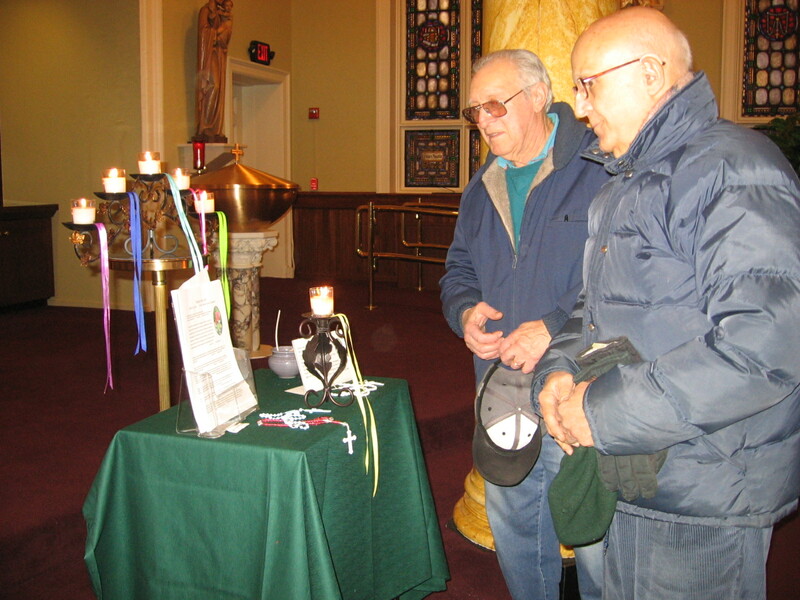 On Jan. 22, parishioners at Our Lady of Mount Carmel Parish in Springfield gathered for a Rosary for Life before their 4 p.m. Mass. On the 38th anniversary of the Supreme Court Roe v. Wade landmark decision which legalized abortion, they joined in prayer with the thousands of marchers who went to Washington D.C. and marched on the Mall on Monday, Jan. 24. In Cardinal Bernadin’s writings are statements about abortion, capital punishment, militarism, economic injustice, euthanasia, and ecology. 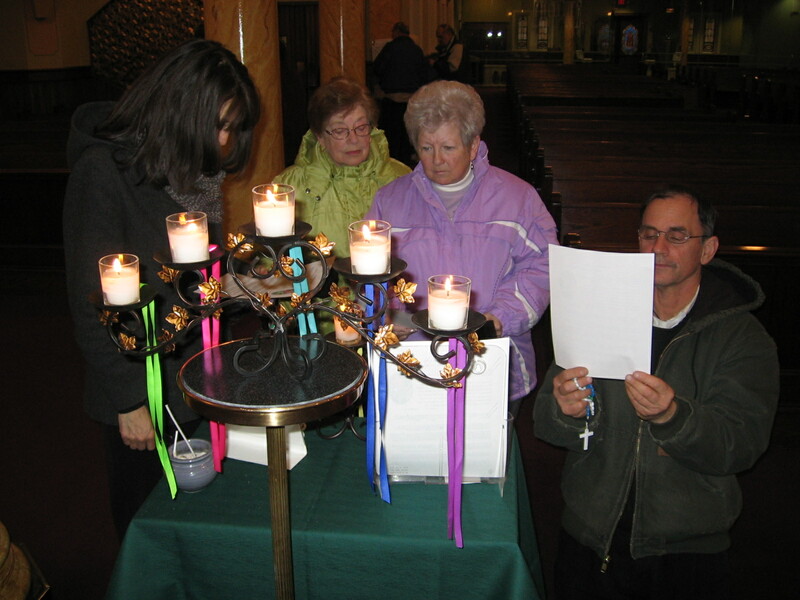 The petitions that were prayed, with the rosary, came from Church document selections in our religiuos educaiton textbook. 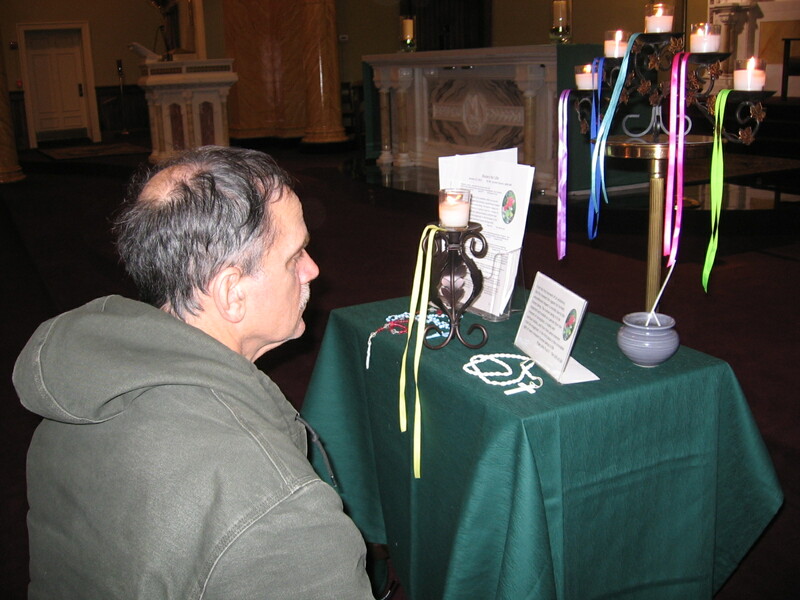 The six candles were visible at all weekend Masses. One year ago, the worse single urban catastrophe in modern history befell Haiti, the poorest nation in our hemisphere. Goudou-goudou, the Creole word for the January 12, 2010 earthquake, took some 300,000 lives and cost billions in destroyed property and infrastructure. In the immediate aftermath of the region’s biggest disaster in 200 years, the island nation avoided the expected outbreak of disease and social disorder. Yet, by the end of 2010 the Haitian people ended with both – a still uncontained cholera epidemic that has claimed more than 2,000 lives and wide-spread civil disorder due to uncertainties from the elections. 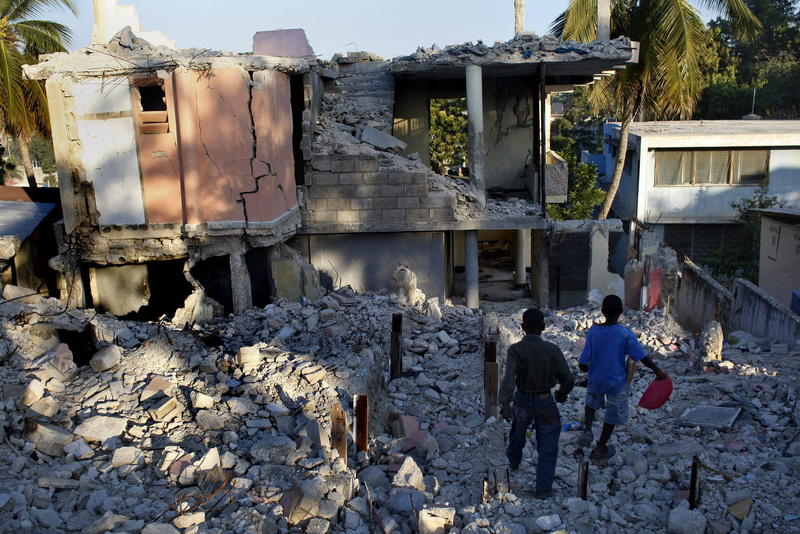 It seems as though, a year later, Haiti is getting worse, not better. With such results, it would be easy to throw up our hands in despair. But it would not be in the long-term interests of the United States to begin minimizing Haiti out of frustration with a weak government and an absence of progress in its recovery. Such a policy would have long-term adverse consequences throughout the region. What we need to do is reconsider what needs to be accomplished to make Haiti a functioning country again. While the earthquake has created new challenges, it has also laid bare for all to see those that have piled up over a very long time. This explains why there is so little evidence of Haiti rising from the dust and ashes of the earthquake one year ago. Building a house next a destroyed one. The goudou-goudou was more than just a natural disaster – stronger quakes hit Chile and New Zealand in the same year with less destruction and loss of human life. 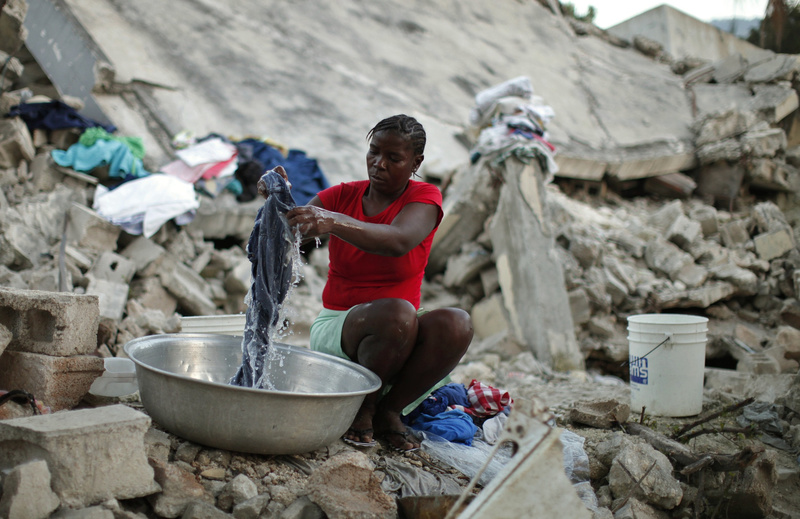 What brought Haiti to its knees was not so much the shifting of its tectonic plates but Haiti’s grinding poverty-an issue never fully addressed by its government and the international community—which has limited its ability to easily recover from an event of this magnitude. Notwithstanding the immediate need to rebuild infrastructure and meet the basic survival needs of the Haitian people, a clear, long-term commitment to Haiti’s economic and political development is needed. As usual, the United States must take leadership in this effort. 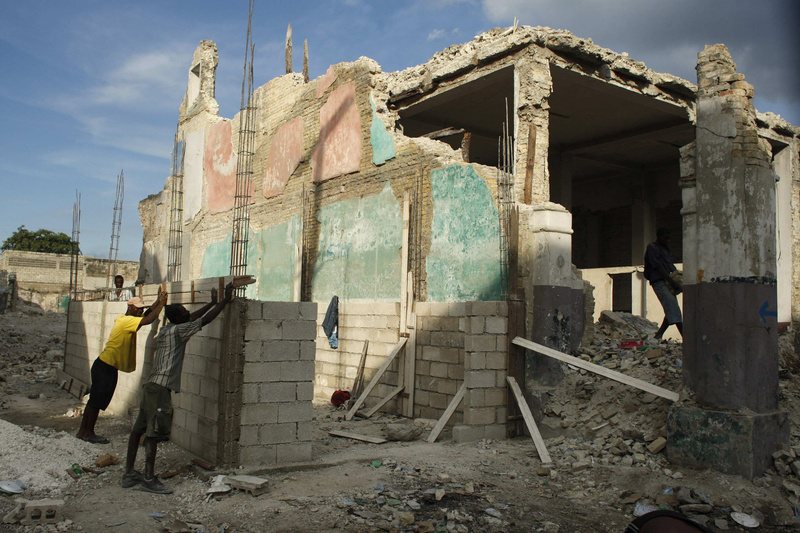 To start, the new Congress should re-introduce legislation similar to the Haiti Empowerment, Assistance and Rebuilding Act (HR 6021) in the previous Congress. Such legislation would provide a framework to guide long term assistance to Haiti. At the same time, it would encourage both the Haitian government and civil society to look beyond immediate needs and plan for the future. 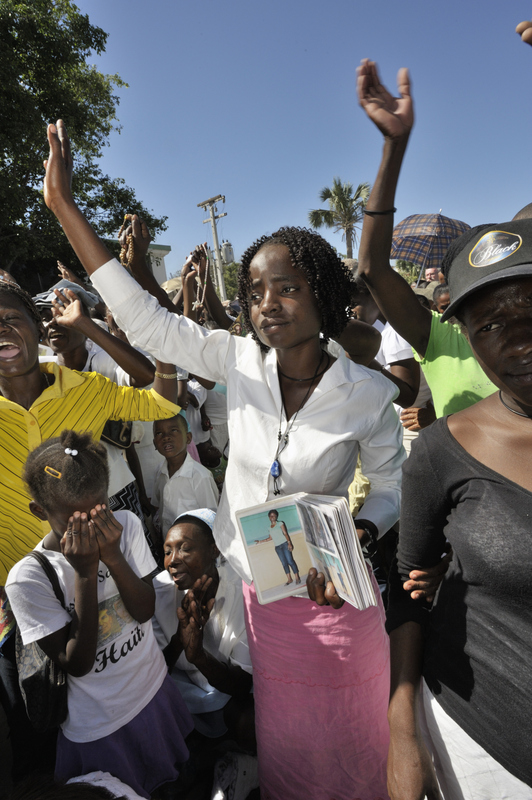 Any assistance plan must be accompanied by a new and strengthened U.S. resolve to hold Haitians (and their foreign partners) in both the public and private sector accountable, while at the same time training them in democratic governance. U.S. policy should be guided by a mix of generosity and hard-nosed realism, forcing the Haitian political class to reduce corruption and govern transparently. In addition, U.S. migration policies toward Haiti should reflect the dire situation on the ground, not compound it. 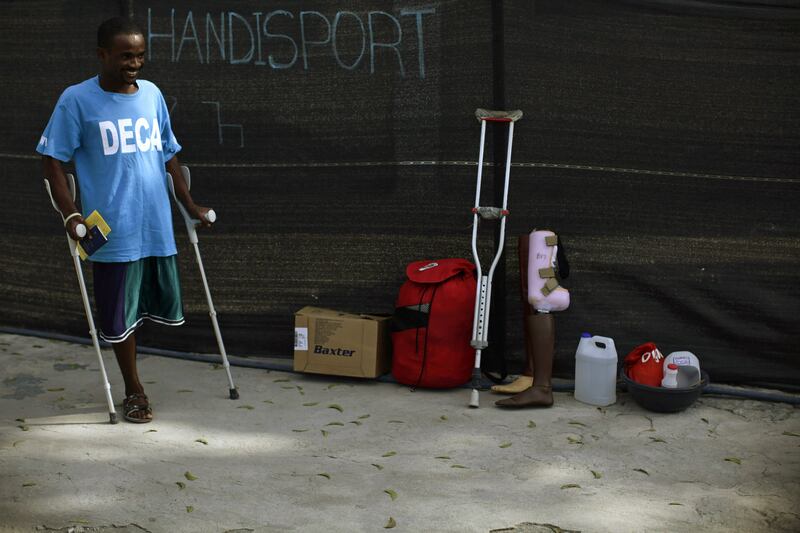 As a start, the Administration should use its humanitarian parole policy to bring into the United States the immediate family members of Haitians medically evacuated after the earthquake. In addition, another 55,000 Haitians who have already been approved to enter the United States to join family members could be allowed to enter as they await their priority date. 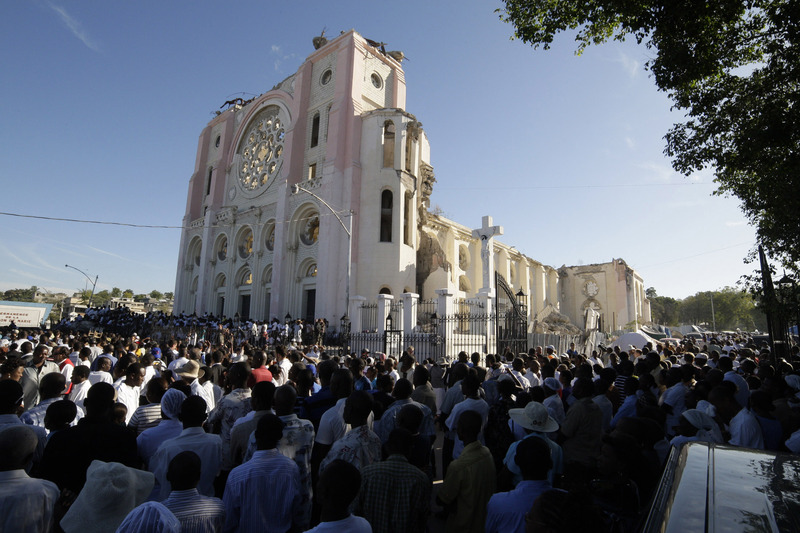 Temporary Protected Status (TPS) should be extended to Haitians who arrived in the United States in the chaotic months aftermath of the earthquake. As a result of these straightforward policies, remittances to the country, so desperate for income generation and economic activity, would be strengthened. What the United States should not do is to cause more harm by resuming deportations to Haiti, a move being considered by Administration officials and already being decried by human rights organizations. The Haitian government at this time does not have the capacity to accept and accommodate deportees, especially ones with criminal records. The United States also should pressure neighboring countries, such as the Bahamas and the Dominican Republic, to cease their deportations. 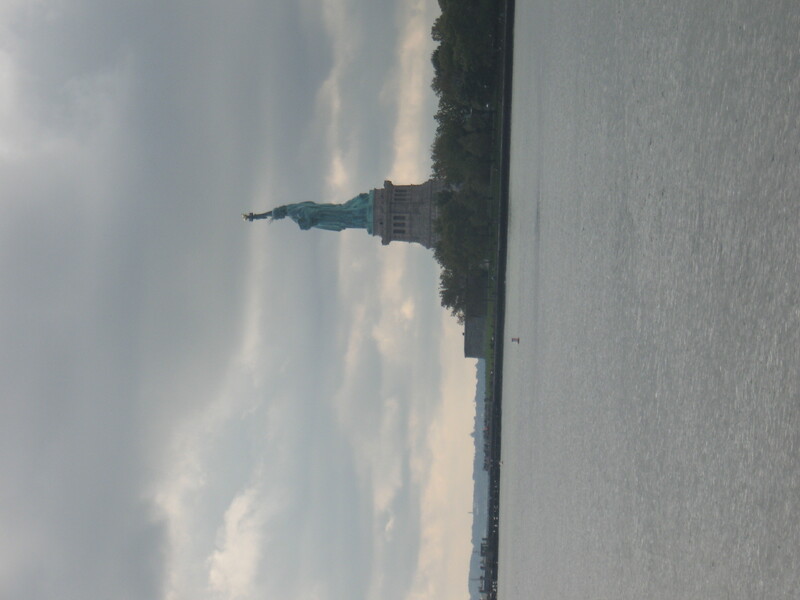 As we have learned the hard way, recovery from natural disasters has been slow even in the resource-rich United States. It took years for Florida to recover from Hurricane Andrew and five years later New Orleans is still struggling to overcome the impact of Katrina. It is no wonder that a third world country near our doorstep is still reeling from its own catastrophe. We cannot walk away from Haiti-a neighboring country of nine million people only 800 miles away from the United States. We must work with the new Haitian government to not only rebuild the national infrastructure, but also to rebuild a sense of national identity and unity. This will not be an easy road, but it is the only path forward. 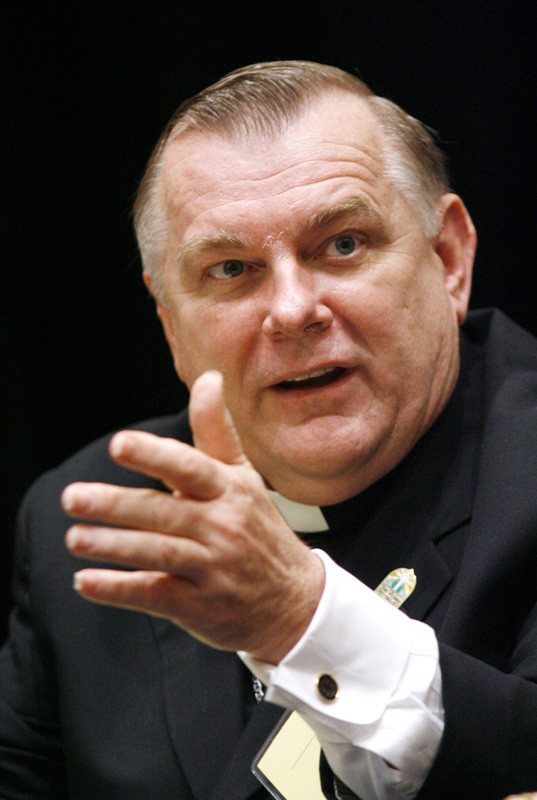 The Most Reverend Thomas G. Wenski is the archbishop of Miami. The Bishop Maguire Pastoral Center -- with new white walls! 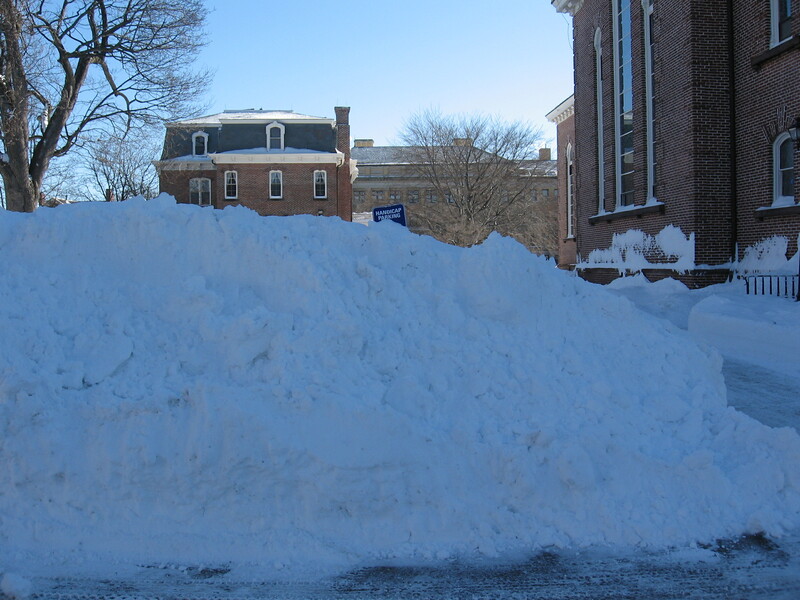 On Jan. 12, 2011, the Diocese of Springfield was hit with a good, old-fashioned New England blizzard. 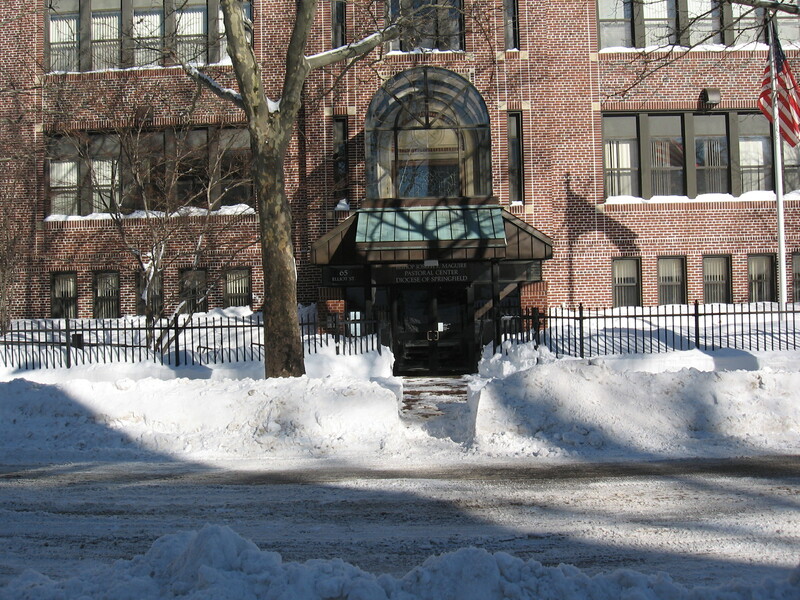 After the plowing and shoveling and sanding, there remained a lot of snow and a lot of beauty. 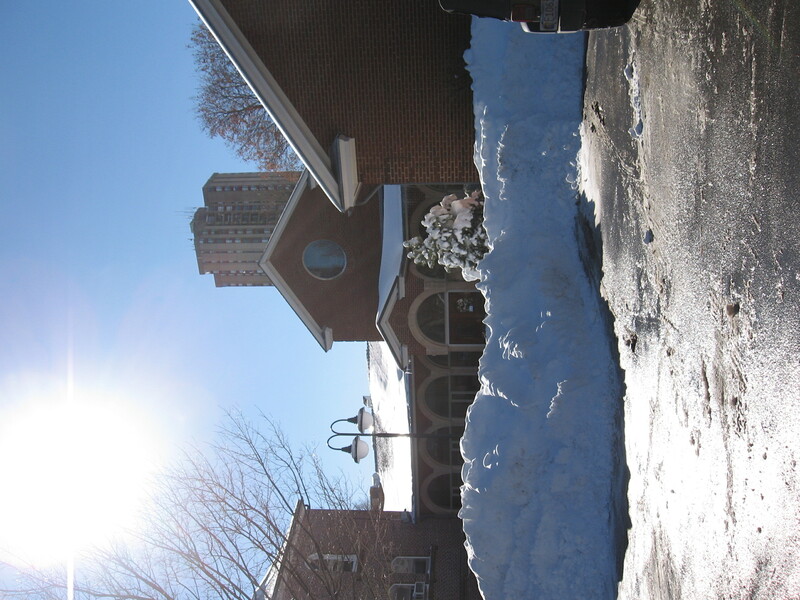 We thought we would share some snapshots of St. Michael’s Cathedral, the Chancery and Bishop’s Residence and the Bishop Maguire Pastoral Center. 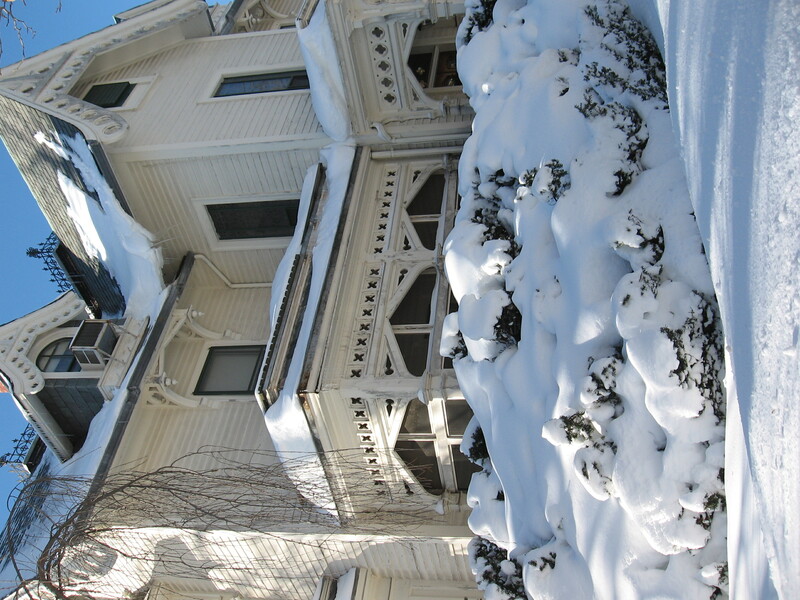 Feel free to e-mail your photos to p.weber@diospringfield.org so you can share what your parish or home looks like after the storm. 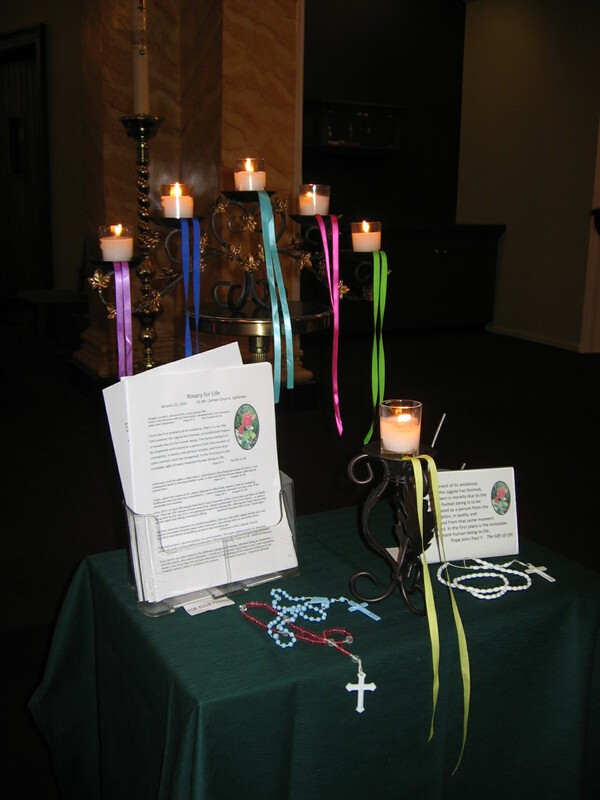 The Holy Spirit Chapel is ready for the taping of the Chalice of Salvation tonight! 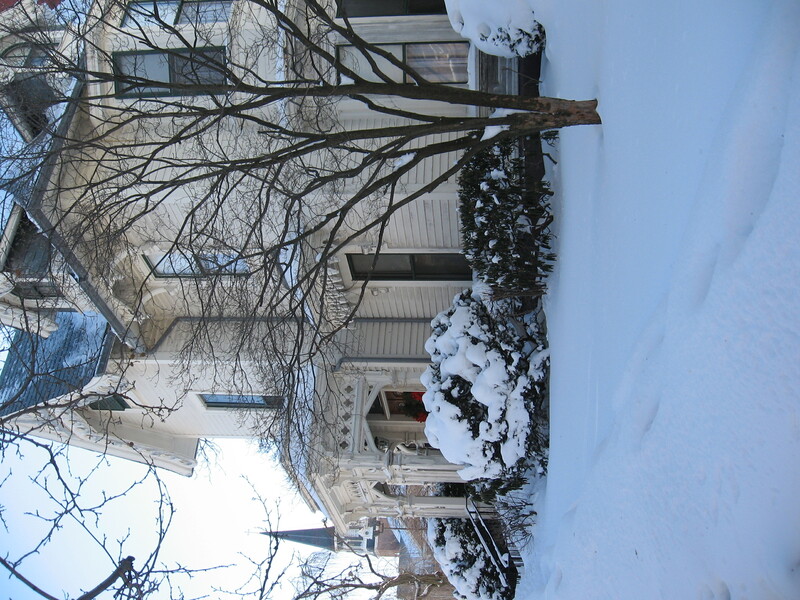 The Bishop's Residence looks like a lovely New England postcard. 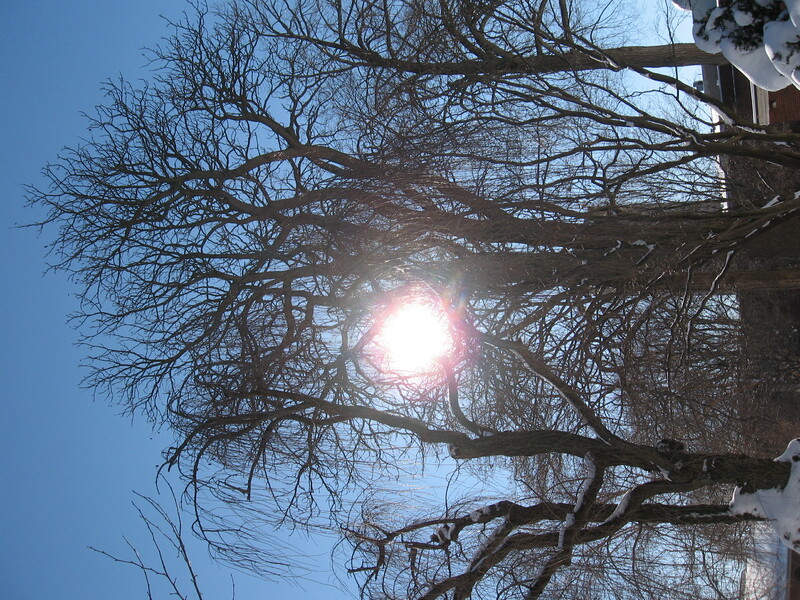 God bless these beautiful winter days. 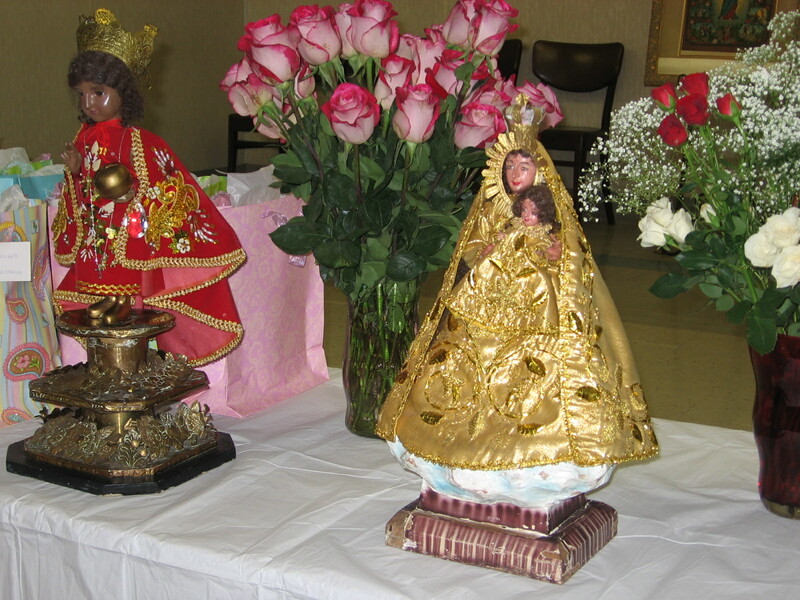 Catholics in the Philippines, and Filipinos in the United States, celebrate a feast of the child Jesus, known to many as Sto. Nino, in January. 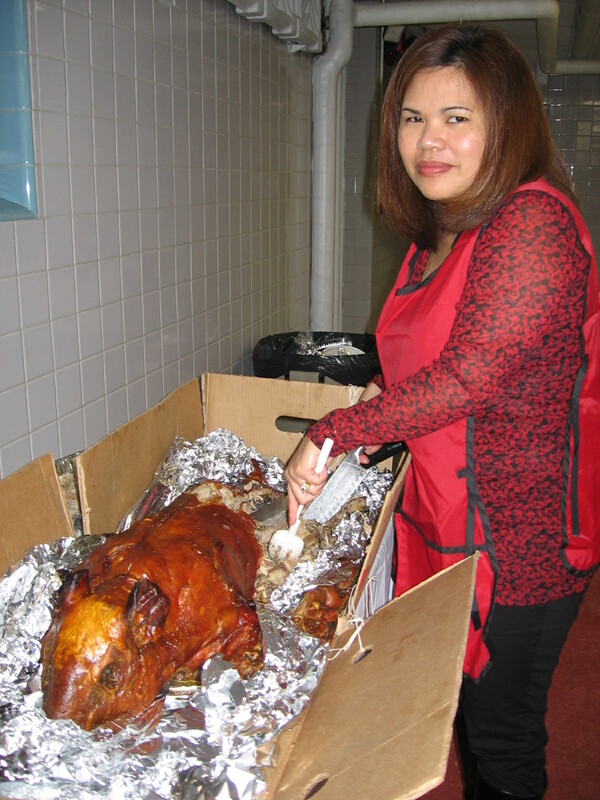 This feast traces its roots to the 16thcentury, when Princess Joanna of Cebu was given an image of Sto. Nino by the Portuguese explorer Ferdinand Magellan, who discovered the Philippines. 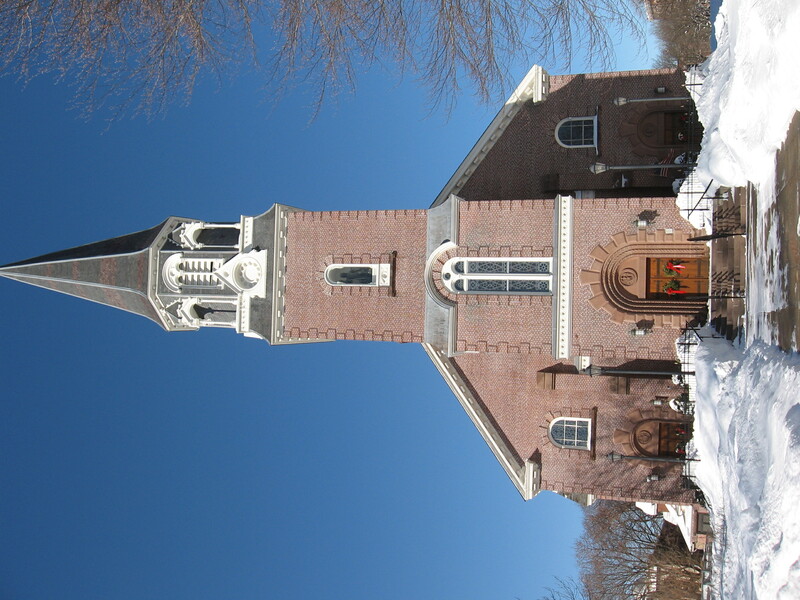 On Saturday, January 8, area Filipinos and their families and friends will gather for their 17th annual western Massachusetts celebration, at Our Lady of Mt. Carmel Church, 123 WilliamSt., Springfield. It will begin at at 11:30 a.m. Their observation is marked by processions, prayers, notably the rosary, and an ethnic meal. 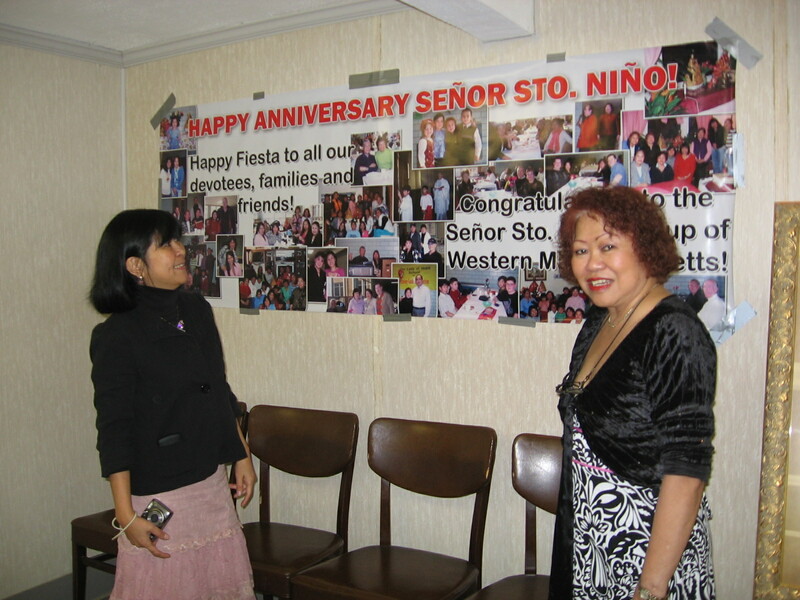 In Manila, Philippines, the feast is observed with several days of novena Masses, church visiting, street processions, singing and dance contests, and cultural presentations. Images of the child Jesus are dressed in different costumes. 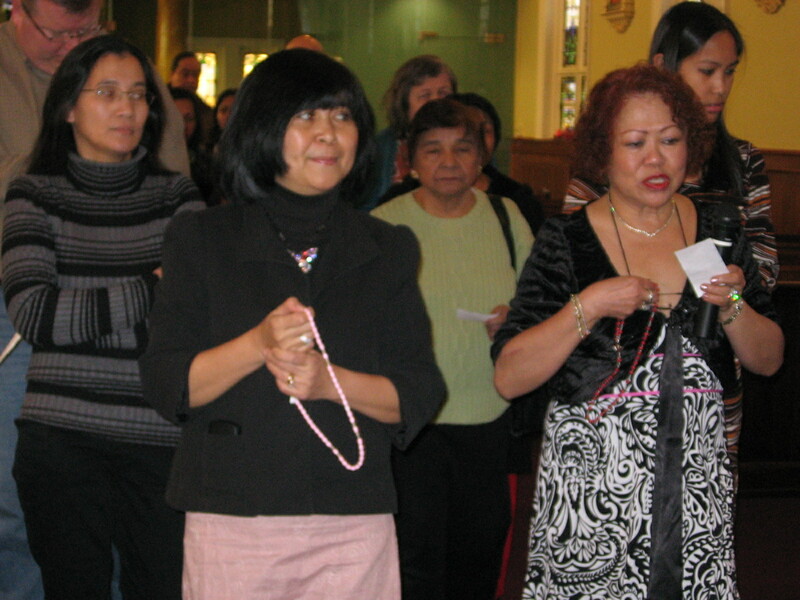 Area Filipinos also pray the Rosary and share an evening meal in home gatherings every week. For more information about the Mt. Carmel Mass and meal, call 413-743-5433. Photos and information provided by Sister of St. Joseph Betty Matuszek and Olivia Melaya Strohman.